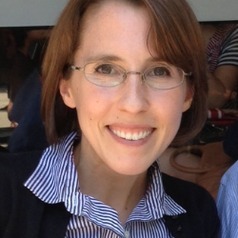 Sarah joined the Ecology & Evolution Department at the University of Chicago as an assistant professor in July 2013. She had previously spent three years as a NIH Ruth Kirschstein Fellow in the Center for Communicable Disease Dynamics at the Harvard School of Public Health, where she was mentored by Marc Lipsitch. As a research fellow, she developed computational models to investigate the immunological mechanisms that maintain the diversity of a common bacterial commensal, the pneumococcus. These models could also explain how vaccination has shaped the recent evolution of pneumococcus, and they suggested general mechanisms that might underlie the diversity of other pathogens. With the support of a NSF Graduate Research Fellowship, Sarah received her PhD from the Ecology & Evolutionary Biology Department at the University of Michigan in 2009. Her graduate research focused on the ecological and evolutionary dynamics of influenza viruses, which she studied in the lab of Mercedes Pascual.